The Doral real estate market is on fire. Since the start of 2013, over 325 Doral properties have sold with the average number of days on the market at low levels. While most homes are priced between $300K and $600K with the average number of days on the market as low as low as 2-3 days, there are a handful of homes priced over $1 million that actually have sold in less than 100 days. Following are the five most expensive Doral homes sold so far in 2013. Like most homes in Doral Estates, this home is ideal for families with five bedrooms and five and a half baths under almost 5,500 square feet. Situated on a lot that is over one-third acre, its highlights that draw potential buyers include a large family room, huge gourmet kitchen with everything any cook wants as well as a breakfast nook overlooking the pool area in the backyard, both formals and so much more. Listed for just under $1.5 million, the home sold for 93 percent of the list price with the average number of days on the market for this sale was 88 days. In 2007, the home sold for just over $1.5 million. This Doral Estates home, built in 1984, is a one-of-a kind home with four bedrooms and three baths. It has all the bells and whistles a million-dollar home in Doral should have including formals, a great family room and gourmet kitchen, an ideal pool and outdoor living area that features an automatic mosquito misting system and more. It listed for $1.25 million and sold for almost about 12 percent below list price in just over 90 days. The most favorable aspect of this sale price is that the last time the home sold in 2007, it sold for $425K and was remodeled to bring it to par with other Doral Estates homes. As one of the most contemporary homes in Doral Estates, this home has 6 bedrooms and 5 baths under over 4,500 square feet. It was built in 1992 on a 0.39 acre lot. Listed for $1.2 million, the home sold for about 8 percent below list price in just 32 days. Last sold in 2003, the sale price was $650K. A smaller home in Doral Estates, this Mediterranean style, 2,786 square foot home sits on a quiet street surrounded by larger multi-million dollar homes. It features four bedrooms and three baths with a first-floor master suite and caged in-ground pool. With all the luxury features of the other Doral Estates homes, it is the only home on our list of sold homes that sold for under $1 million at about 5 percent of list price and selling in just three days. As the most exclusive neighborhood in all of Doral, homes sell at a rapid rate in Doral Estates. So far in 2013, five homes have sold with sale prices between $650K and just under $1.4 million. Of the five homes, only one stayed on the market longer than 90 days with the other four selling in just over 30 days or less. Doral Estates features beautiful estate homes with perfectly manicured lawns and golf course views. Currently there are five homes on the market with list prices between $1.2 million and $4.75 million. This waterfront property encompassing almost 2,800 square feet sits in a gated neighborhood and has all the fixtures and finishes a million-dollar Doral home should have. Listed for $1.1 million, it sold at 90 percent of list price in just 26 days. In 2005, it sold for just over $800K. This neighborhood in exclusive Doral Isles features some of the most luxurious homes in Doral. 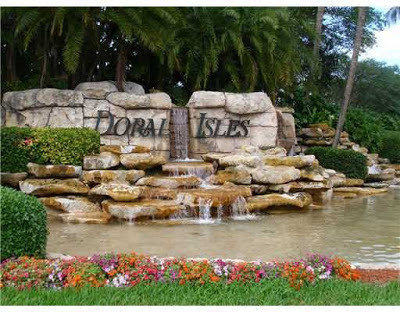 As a gated community Doral Isles offers some of the best amenities including a large state-of-the-art fitness center with spa, a restaurant, two large and really fun pools with waterfalls, and more. Overall, thus far this year, four homes have sold in Doral Isles Riviera with sale prices between the mid-$600s to $1 million and an average number of days on the market at 81 days. Additionally, for those who are interested in leasing, monthly rental rates range between about $3,300 to well over $4,000. Doral real estate offers affordable luxury when compared to surrounding cities in Miami-Dade County. What is bought here for just over $1 million can cost over $5 million elsewhere. As the real estate market rebounds in South Florida, Doral properties continue to climb in value making them a very solid investment. Everybody wants to live in a luxurious house equipped with the latest gadgets and gizmos. Hence, the sad truth remains that these homes are too expensive. Either way, there are affordable homes like these apartments Homewood AL for those with tight budget.